When investigating UAP reports, besides on-site interviews, I use a number of readily available tools. A number of people have asked me to publish details, in order that they may also use them, so here they are. This website, click here, run by Air Services Australia, allows you to view a secondary radar derived map, showing the location of aircraft near the main Australian airports. You can view an area up to 50 kilometres from these selected airports, to an altitude of 30,000 feet. Only aircraft carrying a transponder (click here) show on the map. For each aircraft, you can find details such as its flight number, originating airfield and destination airfield, and its moment to moment height, plus the type of plane. You can check timewise, from 40 minutes in the past, to three months in the past. My suggestion is, that for every UAP report that comes in, that you use Webtrak to determine if any aircraft match the position and movement of the UAP. There are several astronomical sky charts available on the net, e.g. Sky View Cafe, (click here) or Fourmilab (click here.) These provide locations of the Sun, the Moon, the planets and bright stars, for any date, time and geographic location. The use of a sky chart will enable you to compare the location in the sky of any UAP to Sun, Moon, planets and stars. If day time, a UAP 22 degrees from the Sun could be a "sun dog" (click here); 22 degrees from the Moon could indicate a partial lunar halo. If the planet Venus is in the morning/evening sky, and the witness does not report seeing both the UAP and Venus, then the UAP could actually be Venus. A sky chart can also be used to determine the time of sunrise/sunset and moonrise/moonset for any geographical location. This website (click here) allows you to track aircraft movements at any time, at any location on earth, provided they are using a transponder. Again, as with Webtrak, you can compare UAP details with aircraft details. The Australian Bureau of Meteorology website (click here) allows you access to weather data from hundreds of locations around Australia. Details available on a daily basis, going back 14 months, include wind direction, wind speed, cloud cover percentage, and temperatures. All for free. If you want to go back further than 14 months you can do so, but there is a fee for this service. Wind direction might, of course, suggest that the UAP was a wind blown object, e.g. a hot air garbage bag balloon. If the witness tells you the sky was clear when they saw a UAP yet your check of the Bureau site tells you the sky was totally overcast, then you might start to think there is an issue with your witness' information. Secondary radar imaging, such as from Webtrak, only shows information from aircraft which have transponders onboard, radiating a signal which is picked by by secondary radar. Primary radar however, shows anything which reflects a transmitted radar signal. Primary radar is what the RAAF uses. However, to obtain copies of this data, you will need to submit a Freedom of Information request to the Department of Defence. The RAAF appears to recycle its radar data every 30 days, so you need to be quick to receive this type of radar data. You might also consider submitting an FOI to Air Services Australia seeking primary radar data, if they have it, for the nearest airport to the UAP location. If you have one UAP observation from a location, there may be other unreported observations. To ascertain this, I often check the web for the nearest local newspaper to the UAP location, and check the digitised copy of the relevant newspaper for further sightings. If I find none, then I might email the newspaper seeking any reader who may also have sighted the UAP and ask them for details. If I receive a UAP sighting from say, Burra, South Australia on 29 November 2013, I will use an internet search engine using Burra, and the date as keywords, to see if I can find additional sightings on the net, or possible explanations. If you are looking into an historical report, your nearest State Library is an excellent resource. It has accessible newspapers, and often runs of old magazines published by UAP groups. Old newspapers can provide daily weather details, often far cheaper than going through the Bureau of Meteorology. Rare, or hard to find copies of UAP books are also often held by State Libraries. The National Archives of Australia and the National Library of Australia are also sources of files, photographs, old newspaper clippings and other reference material. State Libraries also hold hard copies of old electoral rolls, up to about the year 2011. If you are trying to locate witnesses to old cases. I have successfully located individuals associated with cases as far back as 1965! The above, are a few of the numerous electronic and hard copy means of assisting investigating a UAP case. However, they are only additional means. There is nothing like the old fashioned on-site interview with a reporter, where they can show you the trajectory of the UAP across the landscape where you are standing. If blog readers know of other Australian resources, I would be delighted to hear from you. 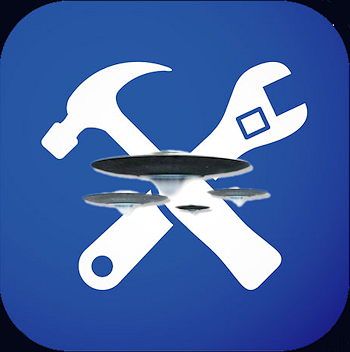 UFO Detector: There's An App for That!